﻿I am happy to participate with Friends of the Mustangs as part of the Western Colorado Wild Horse and Burro Resource Group for recent adopters of wild mustangs. Mustangs are not like domestic horses. Their instincts remain in tact. They still read and respond accurately to body language (both horse and human). Some mustangs are easy to build a bond with, and some have been traumatized by the experience of being gathered and removed from their home and families. My specialty is working with traumatized horses and in teaching people - both how to read body language and how to present body language signals that make sense to horses. Friends of the Mustangs, in cooperation with BLM, are dedicated to providing resources and support to those in Western Colorado who have adopted or purchased BLM wild horses, mustangs, and/or burros. Workshops and informal get togethers will be scheduled throughout the year at various locations across Western Colorado to share our successes with, and concerns about our wild horses & burros. Join the Facebook page: Western Colorado - Wild Horse and Burro Resource Group to stay up dated on coming events. We want to see everyone have a successful relationship with their horses/burros, be it a working or recreational relationship. Introduction to mustang psychology: What makes working with a mustang different from working with domesticated horses? 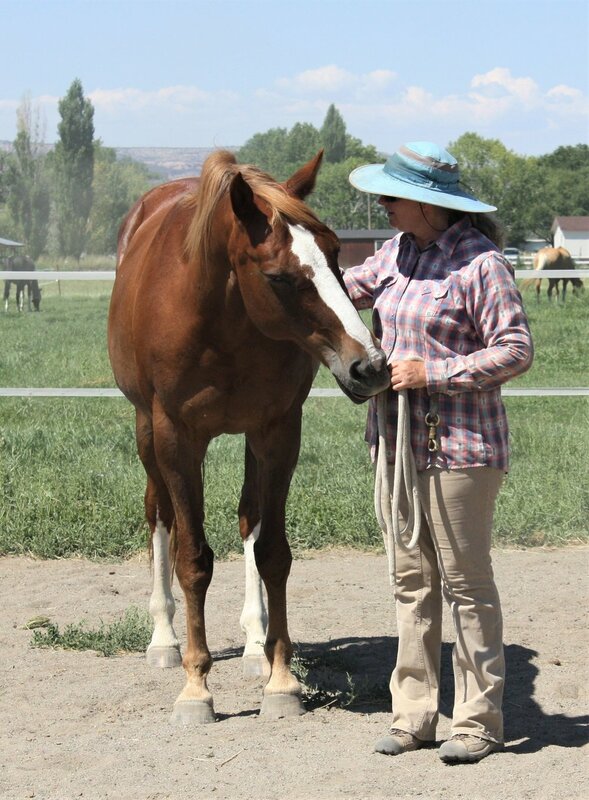 We’ll talk about how horses use their senses and respond to stimuli and discuss the basics of equine body language with a few live demonstrations of concepts weather permitting. Basic care and feeding guidelines: We’ll discuss basic equine management: feeding, introducing your mustang to other horses, how to prioritize your goals in terms of meeting their health needs. Learn about a horse's basic survival needs and how those needs impact their workability. Body language fundamentals: Learn to interpret your horse's behavior and body language signals. More importantly, we’ll discuss how our body language influences our horses and how to become conscious of your own body language, emotions, posture and movement. Basics of haltering, leading, and initiating contact. Andrea will be available to answer any specific questions people have that were not covered during the workshop and we’ll discuss the needs of the group and set dates for future gatherings.